Tags: poker legends, Stu Ungar, WSOP. He was virtually an unstoppable individual during his early days in the world of poker - he won 10 major $5,000 or higher buy-in NLHE championship events, collected a total of five World Series of Poker (WSOP) bracelets, and he was a three-time World Champion! Moreover, he was the only one to have ever won both the World Series of Poker and Amarillo Slim's Super Bowl of Poker (the second largest poker tourney on the pro level at the time of Ungar's heyday). He amazingly won three titles in every tournament. Stu was born in New York and grew up on Manhattan's Lower East side. Near their home around a corner, Stu's dad managed a bar and grill. There was food, drinks and lots of betting going on amongst the customers. From a tender age, Stu learned what the "juice" was on a sports bet as well as what the "juice" was when you went on the street for a loan. His mom, on the other hand, was an avid poker player. During holidays in the Catskill Mountains, Stu tested his new poker skills against the hotel staff. At 10 years old, Stu's photographic memory served him well for the first time as he won a gin rummy tournament at one of the resorts of Catskill. In 1978, when he was only 22 years old, he decided to go to Las Vegas in order to play high-stakes gin rummy. He played against anyone for any amount, and to everyone's surprise, he won every time. Later, as his prowess in gin rummy remained unsurpassed, he then delved into the world of No-Limit Hold'em, and became a champion in that realm too. He said in an interview, "Someday, I suppose it's possible for someone to be a better No-Limit Hold'em player than me. I doubt it, but it could happen. But, I swear to you, I don't see how anyone could ever play gin better than me." It was in 1980 that Ungar began playing poker in Las Vegas. Even if he had very little experience in No-Limit Hold'em, he participated in the $10,000 buy-in World Championship event located at Binion's Horseshoe, and he won! His success and gleaming youth earned him the alias Stu "The Kid" Ungar. The next year after that, he played again for the second time in the No-Limit Hold'em championship series, and successfully defended his title! The third and last time he played in that same event was in 1997, in which he took down as well. Stu's lightning-fast and nimble intelligence was what made him famous in the poker world. His prowess in playing No-Limit Hold'em showed fearlessness, determination so relentless, tranquil yet intense focus, and his card-counting skills were so extraordinary that no casino would permit him to play blackjack on its tables. His eidetic memory was actually one of the reasons why casinos switched from the one-deck shoe to multi-deck shoes in blackjack. The young adolescent was actually known to be a high roller and a big spender. For four times he became totally broke, but for countless times he won millions of dollars. Those who were able to play with him say he was super-energetic, always on the move, hunting for more card action. He became infamous for his nasty treatment aimed at dealers, but it went unpunished because in those days dealer abuse was the norm and therefore not taken too seriously. When asked about his untoward behavior on the subject, he said without remorse, "Show me a good loser, and I'll show you a loser." Usually a common thing when a person becomes a legend in his own sweet time, Stu continuously struggled with and eventually died of drug addiction at the young age of 45 in 1998. He may be gone but his memory lives on, and to those who were lucky enough to have caught a glimpse of him when he was still alive, Stu's infectious energy, unique playing style and ability as well as extraordinary talent were recalled with respect and awe. 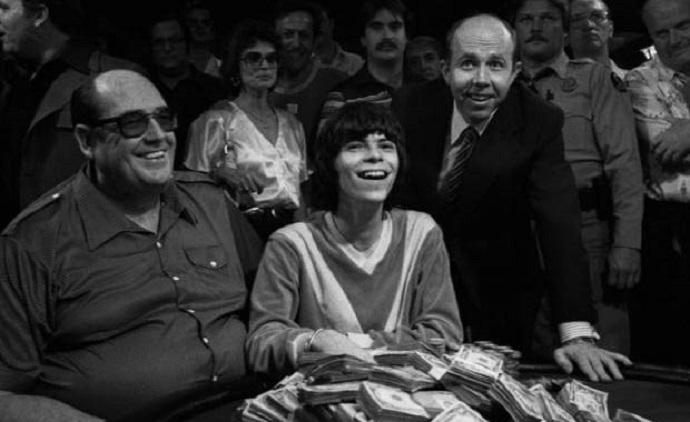 On November 22, 1998, Stu Ungar at age 45 tragically died (from heart failure due to drugs) inside a motel room in Las Vegas. Stu was a relentlessly headstrong player. In any type of game he played in, he won more than twice as many hands as anybody else. At the end of each session, he's either the big winner or the broke loser. He would win the pot hands-down whenever he detected weakness in his opponent. He's the kind of player one cannot bluff so easily, since Stu can expertly figure out if his opponent was onto something that didn't make sense to him. He wasn't a force to reckon with when he won the first of his three WSOP final event bracelets. According to Doyle Brunson, "If Stuey ever got top pair beat, he would have been knocked out." In fact, Stu managed to have won enough pots along the way that he could be still financially okay even if he lost a lot playing against his short-stacked opponents. Stu was a steamer, and hopeless at that. Throughout his gaming career, he did not always win in the side games, and oftentimes when he played he needed to be staked. In the end, because of his drug abuse he became so messed up that he was too afraid to play his own money. In general, Stu was deemed to be the best player in the world at gin rummy, and he may probably have had the best record of all time in the No-Limit Hold'em tournaments. It was said that he won 10 out of 30 NLHE tournaments he entered which had a buy-in of $5,000 or even more. There's no doubt about Stu's incredible talent at poker and other card games, but the big question up until now remains - how good would he have become if his life wasn't destroyed by drugs? According to Mike Sexton, "The real shame is that he never lived to see the poker boom. With all these tournaments and a $10,000 buy-in every other week, I believe Stu would be off drugs, playing high stakes poker, and getting the publicity and recognition that he craved. He would be the greatest poker player out there and so famous that number two would be 10 miles behind." Eidetic/Photographic memory - At an early age, Stu displayed an amazing eidetic memory plus a flair for playing card games. Young appearance - Because of his small stature and youthful appearance, Stu was instantly recognizable. During his early years playing at tournaments, there were times he couldn't even reach the table and so he had to put something extra on his chair. First win at 10 years old - Stu won his very first card game tournament (Gin Rummy) at 10 years old. By age 14, he was considered to be the best Gin Rummy player in all of New York. Banned in casinos - Stu was extremely good at blackjack and was also great at card counting. Thus, he was frequently banned from playing blackjack in casinos. Six-figure win just by card counting - Stu won $100,000 on a 10-1 bet against Bob Stupak (owner of the casino Vegas World in Las Vegas), by correctly counting down the first three decks from a six-deck shoe, and he was able to accurately recite the rest of the 156 cards. However, the money lasted in just a span of one week. A teen prodigy at card games - Stu, as a teenager, had been winning sufficient money just by playing cards that he can already support his mom and sister. Never a hustler - Stu became famous for his extremely aggressive playing style, crazy river calls, and good bluffs. Never was he a hustler. His pride in winning is most important to him. In the 1980 WSOP, Stu was his first-ever Main Event title, and astonishingly it was also his first time to play Texas Hold'em. Thus, he became the youngest champion in history (this record has since been beaten next by Phil Hellmuth, Peter Eastgate, and then Joe Cada). Stu is the only player to have won fairly a total of three Main Event titles (whereas Johnny Moss may also have three titles but he got his first one via voting). Stu's overall WSOP winnings were $2,081,478. Addiction to cocaine - Upon the advice of fellow poker players who said it would help him keep his concentration during marathon poker sessions, he tried using cocaine. Unfortunately, recreational use led to his serious addiction to the stuff. Won 10 out of 30 high stakes poker tournaments - In his rather short life, Stu entered 30 high-stakes poker tournaments, in which he won 10 of them. This is why Mike Sexton named him "the best no-limit player of all time." 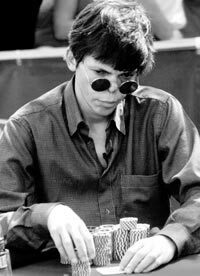 Nicknames - Stu Ungar was also known by three different nicknames - Stuey, The Kid, and The Comeback Kid. Compulsive gambler - Stu was always looking for the next big thrill. He would bet on anything he can. He loved prop bets a lot. The first time Stu Ungar stepped on a golf course, he was given a putting lesson by Jack Strauss. They were still on the practice putting green an hour later, and astonishingly Stu had already lost $80,000! He was reported to have lost a million dollars in a Razz game, and another million in a single craps session. Though he did beat Larry Flynt at heads-up poker for over $5 million. The Michael Jordan of poker - If not for his drug abuse, Stu Ungar could have become the Michael Jordan of poker, according to those who knew him. Movie - Stu's rather short but remarkable life inspired a 2003 movie "Stuey" or "High Roller: The Stu Ungar Story", which starred Michael Imperioli. Deep love for his daughter - The only motivation Stu had to keep on fighting against his drug addiction was his daughter Stefanie. He very much wanted to see her grow up. 10 comments for "Legends of Poker - Stu Ungar, the Greatest No-Limit Hold’em Tournament Player of All Time"
He was one of the best poker players but not the best as some people say. He was good in the 80s or 90s but since online poker has gained momentum, many players have appeared and if Stu Ungar lived it would have been much more difficult for him to achieve such performance. Anyway he had a fantastic talent with holdem, gin and blackjack. I have to say never heard of him before. Read the story and he did some big accomplishments. Stu Ungar is one of my all-time favorite poker players. He somewhat reminds me of my degenerate cousin. I wish I could meet Stu Ungar in person, but that is no longer possible. He died too young, way too young. I must admit, I've never heard about it. I read those article, and it was sad, that he lost his life to drugs, like many more famous person. I can't understand, why people who gain famous, cash, etc, decide to lose their life with drugs... So many notable people on the world are gone due to their drug-addict.